After a stellar performance at the recent Santo’s Super 3 Extreme event, we caught up with Sydney-based Emilio Spinozzi about his racing history, how he describes the Spinozzi pit’s atmosphere when the team race in Sydney, and his game plan for success at the upcoming Nitro Champs, May 7 & 8. Emilio’s interest in racing was sparked in his teen years when he made an effort to always attend the “Triple Challenge” and “Off the Street” drags at Eastern Creek. He says drag racing was easier to access than other Motorsports in those days. Starting with an XY falcon, his best time was 11.0 @ 127mph. “Our first full competition car came in 2001, in the form of a full chassis 1964 Mark 1 Cortina which we ran in super sedan to a best of 8.36. After this, we ran a Pro Stock truck in B/Gas for a while and I think we may still hold the record there”. Away from the track Emilio spends his time running the family’s civil contracting, excavation and haulage business across Sydney. Family is also an extremely high priority with Saturdays being filled with soccer, swimming, karate, time at the park and running 10yo daughter Aleia’s JD Mowers junior dragster. (We’re all now wondering how Emilio finds time to prep and race his own car!) He also added in that he enjoys cruising old school muscle cars, so now we’re not sure if this guy even sleeps. With family in mind, race day is very much a family-affair. Emilio says the whole family cannot wait to get to the track. And he shared with us that his wife Trish organises a lot in the lead up to each event. Their children are aged 12, 9 and nearly 6. Friends are also heavily involved and he describes his pit as “chaos” when the team race at Sydney, but stresses that he would not have it any other way. 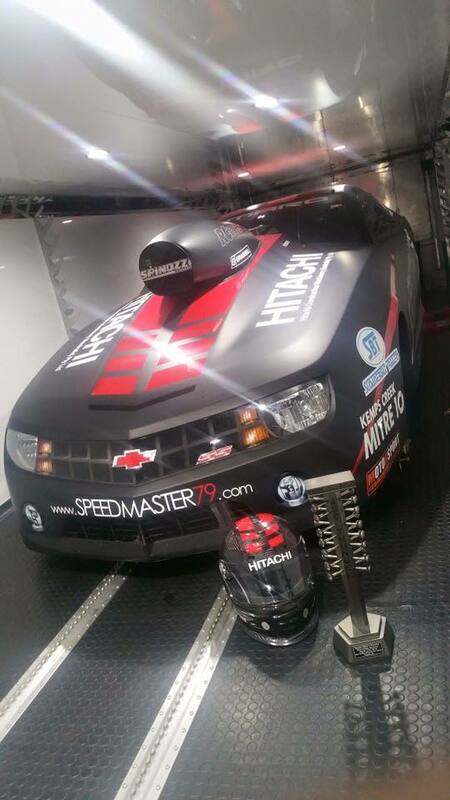 Emilio has run a PB of 6.922 @ 198.09mph. “If we can stay in and around the top 3 and be consistent I’ll be happy with that. The weather has not been great lately I don’t think anyone has run a 6 since the winters 2015, I’m not expecting great weather in Sydney, going off the latest weather trends, I hope I’m wrong! 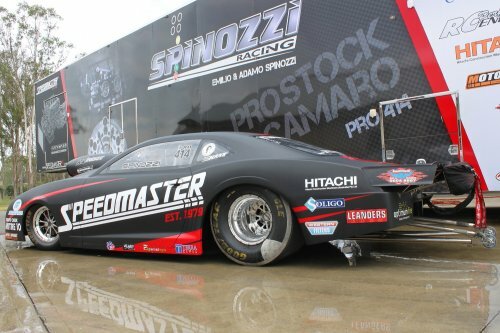 WHAT MIGHT SURPRISE FANS ABOUT PRO STOCK? DO YOU HAVE A PRE-RACE HABIT THAT’S A LITTLE UNUSUAL? 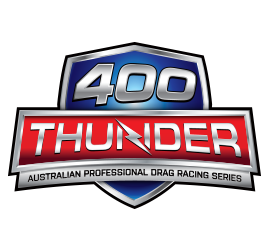 400 Thunder wish Emilio, Trish, their crew, marketing partners and family all the best at the 2016 Nitro Champs. Connect with Emilio and Spinozzi Racing…. Entries Close Friday April 22.